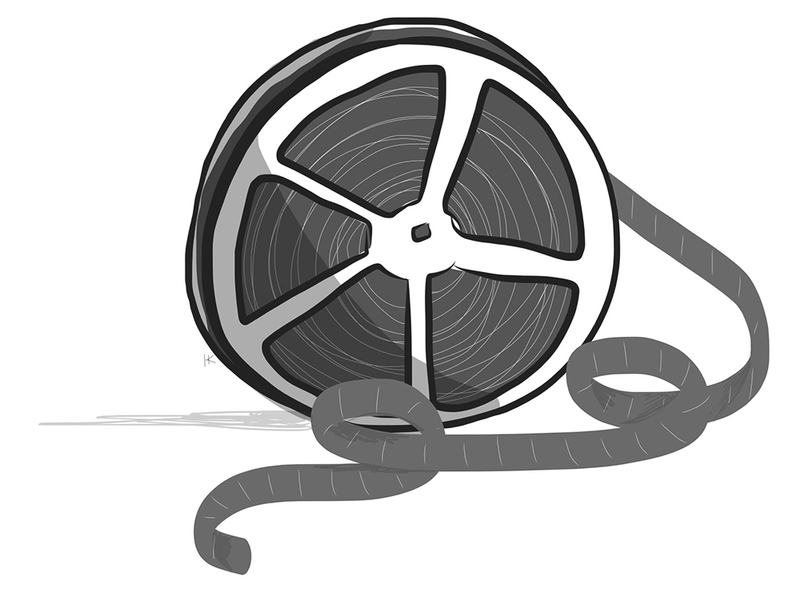 Getting rid of celluloid film to only watch movies digitally would be similar to only viewing the “Mona Lisa” online, the 2014 documentary Out of Print argues. Julia Marchese, the director of Out of Print,joined Emerson professor Peter Flynn, Boston local Garen Daly, and projectionist Herb Nipson for a panel discussion on Jan. 29 after a screening of the documentary, which is about the revival theater The New Beverly Cinema and 35 mm film. Revival theaters show predominantly older movies that are long out of circulation at a typical multiplex. Marchese, 35, interviewed The New Beverly Cinema staff members, regulars, and herself for the documentary. She said she wanted to capture the family atmosphere of the Los Angeles theater she loves—she said she worked there for eight years—while showing the advantages of watching and screening film. Filmmaking is an art, she said, and when the original movie is made on film, it should be seen on film. The New Beverly has an eclectic history, evolving from vaudeville stage to nightclub to movie theater. In the ’70s, it was a venue for adult films before Sherman Torgan bought it and transformed it into the revival house it is today, building it into a beloved institution frequented by Hollywood stars. When Torgon died in 2007, director Quentin Tarantino bought the establishment and still owns it today. Marchese was fired after the creation of the film, because of her negative attitude towards unspecified changes being made at the theater. However, she said she still feels fondly toward the theater and the friends she has made there. Marchese said she has recently discovered many studios have stopped distributing their 35 mm film reels to cinemas, and are trying to phase into solely digital distribution. To revival theater enthusiasts like her, film should be preserved, and venues like The New Beverly are the only ones dedicated to keeping the history of cinema alive. Marchese also created an online petition in 2012 for cinephiles to show their support for 35 mm film that garnered over 10,000 signatures. Out of Print was projected at Emerson using film in the Bright Family Screening Room as part of the visual and media arts department’s Bright Lights series. Flynn, a visual and media arts professor at Emerson, directed another documentary on 35 mm film, titled The Dying of the Light, which focuses on the history of theaters and projections. The trailer for his film was also shown at the Bright Lights event. Flynn, 42, said he believes film is important to remember, but digital is not taking away from the art. Although his 2014 documentary highlights film, he was quick to say digital is just as good. Jack Siberine, a junior visual and media arts major, said he agrees with Flynn. He said that after watching the screening and the panel, he thinks film is important, but just not for him to worry about. At Emerson, Siberine has a focus in production, and said he believes he should be looking towards the future of movies, not the past. Marchese, Nipson, and Anna Feder, the event host and Bright Lights curator, all said they believe film and digital should coexist and offered options for the audience. Daly argued it’s the audience, though, that’s throwing film away. By and large, patrons are choosing digital blockbusters over classic, thoughtful film movies, he said. Feder urged the panel’s audience to encourage productions shot on film and digitally. She said simply attending revival or film-only theaters nearby like the Brattle Theatre and the Coolidge Corner Theater will help the cause. In the end, panel members agreed that it’s up to the current generation to decide whether revival houses will survive or theaters will convert to solely digital.